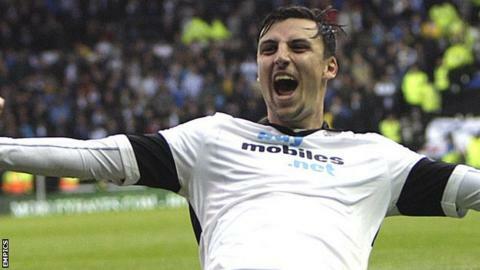 Derby County midfielder George Thorne is set to play his first game in six months when he features for the Rams' Under-21 side against Stoke on Tuesday. The 22-year-old joined the club in the summer following a loan spell last season but damaged knee ligaments during pre-season in July. First-team coach Paul Simpson told BBC East Midlands Today that Thorne's attitude had been "first class". "It'll be a really big boost to get 45 minutes under his belt," Simpson said. "We're all looking forward to seeing him back out there."